Source for Terrarium, 1977. 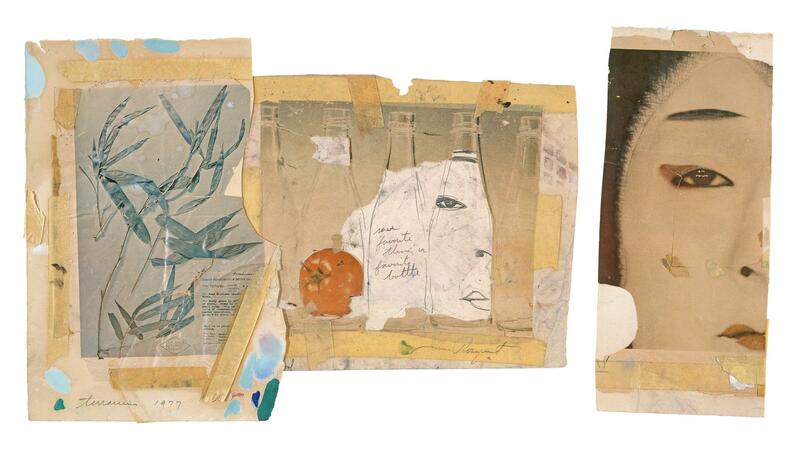 Magazine clippings and mixed media on paper. 14 3/16" x 20 5/8" (36.0 x 52.4 cm) - left element; 14 1/4" x 6 3/8" (36.2 x 16.2 cm) - right element. Private Collection. Terrarium, 1977. Oil on canvas. 6' 9 1/4" x 12' 3" (206.4 x 373.4 cm) [81 1/4" x 147"]. Private Collection. Terrarium, 1978. Nine-color lithograph. 29 3/8" x 44 7/8" (74.6 x 114.0 cm). 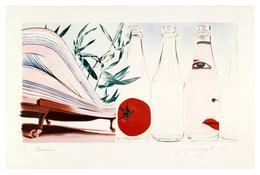 Published by James Rosenquist, Inc.; printed by Aripeka Editions. 100 Edition Impressions + 16 APs, 9 various proofs.